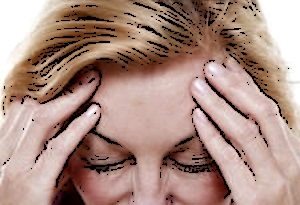 Do you, your spouse, your child or co-worker have an anger disorder? This is where you can find out for sure, and how to help and be helped. You can even get some help right here on this page, by telling your story for the benefit of others. If there is an emotional disorder in your life, whether it's you or somebody else, then it's causing you stress in many ways and at a lot of levels. One of the best things you can do to lower your stess right now is to write about what you're feeling, thinking and going through. Tell your story now, and if chosen, your contribution will be a page on this site--but you will benefit just by writing it down. Aggressive gestures such as pointing, huffing, angry looks, finger pointing, door slamming, bullying, etc. Name calling, ridiculing, criticizing, blaming and other forms of verbal abuse. Feeling tired a lot of the time--holding anger inside your body is hard work! Getting sick--yes, suppressed anger can definitely make you sick. You can't suppress your anger without taxing your physiological system, and feeling depressed, which lowers the function of your immune system. This is an anger disorder that occurs when anger outbursts keep happening over and over again, especially if there is a predictable pattern. When anger is released, some people actually feel a sense of relief, that can become addictive. Learn all about anger and rage addiction in this article devoted entirely to dealing with the anger disorder of anger addiction and rage addiction. 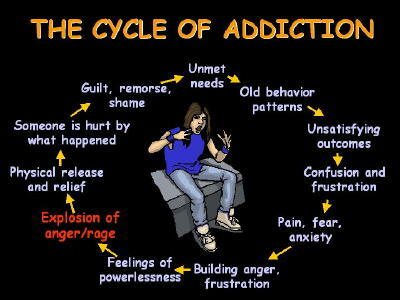 This kind of compulsive-addictive pattern can also result from unresolved grief. The debilitating factor here is the way that the anger outbursts keep happening, and usually increase in intensity over time. No one has to live like that. Teasing or kidding around with someone when, if you're really honest with yourself, you know you're hurting their feelings. This is humor that is at someone else's expense, or you might say humor that has a victim. Asking a question that is really a statement, for example, "Are you sure you want to wear that?" is actually a criticism of the other person's choice of clothes. Sarcasm, cynicism and just being disagreeable can be forms of passive-aggressive behavior. Excluding the other person from something can also be a form of passive-aggressive behavior. You may have very good reasons to exclude them, but if the reason is just that you're angry at them and secretly want to "get back at them," then that's definitely passive-aggressive behavior. One way to know if you have passive-aggressive behavior is to pay attention to your thoughts about the other person when they're not around. If you're thinking angry, resentful or bitter thoughts about them in their absence, chances are good that you will be passive-aggressive when you are with them. "I love Dr. DeFoore's insight. This is life changing stuff I can use myself and recommend to others." This is an extreme anger disorder that is actually an official diagnosis in the DSM IV manual. Read our full article on Intermittent Explosive Disorder. The reason this is considered to be a full blown psychological disorder is that at this level the condition takes on a life of its own, with many complex physical symptoms accompanying the psychological and emotional symptoms. It's like all of the other anger disorders rolled into one. Learn more about Explosive Anger Disorder (EAD). 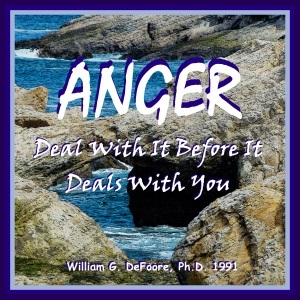 Where the anger started and how knowing that will help you heal a disorder if you have one. The other emotions that go along with the anger. Specific tools and techniques to help you protect your relationships from your anger. Healthy ways to release and communicate all of your emotions. You have a full money-back guarantee with this program, so there's absolutely nothing to lose.